NASA will take the human race to Titan, Saturn's largest moon. There's nothing very spectacular about the appearance of Saturn's moon, Titan. However, the view from the ground might just be absolutely breathtaking: the massive rings of our solar system's sixth planet would loom impossibly close in the atmosphere (this is what makes Titan so special-more on that later), and the deepest, reddest sunsets you could ever see would highlight the rocky terrain of Saturn's largest moon. Wait a second-oceans on a moon? 1908. According to astronomers, "Titan can be viewed as an early-model Earth." We suspect that Titan has many lakes, shorelines, lightning, a nitrogen-based atmosphere, and even seasons. In addition to the push for the colonization of Mars by SpaceX and its growing number of competitors, Titan is one of the primary contenders for the next planet the human species will colonize. Anyway, NASA plans on getting much more details on the planet somewhere around the year 2038, when the planets will align appropriately-also, we expect to have colonies on Mars at this point, significantly reducing the trip length. Hopefully by that time, NASA (or North Face) will have devised the ideal winter jacket-temperatures on the moon of Saturn dip to as low as negative 274 degrees Fahrenheit. Moreover, it might not smell great either. The oceans on Titan are devised of methane and the potent gaseous hydrocarbon literally rains from the sky. All-in-all, Titan sounds like a pretty horrific place-so why the heck do we want to go there again? 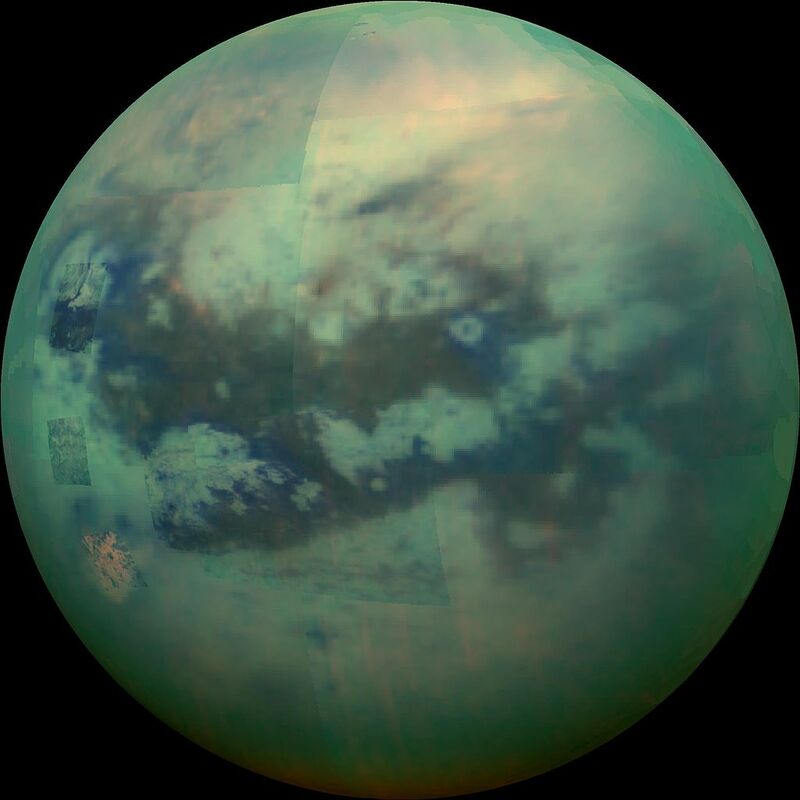 NASA hopes to discover some strange form of hydrocarbon-based life on the planet, most likely in Titan's largest ocean, the forebodingly dubbed Kraken Mare. Also, the search for life-according to NASA-is not exclusively for bragging rights but more specifically for our general understanding of "how life evolved." For the sake of those future pioneers, let us hope we didn't evolve from giant space sea monsters.